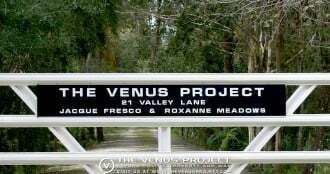 The Venus Project website is the digital face of the organization but it’s something significantly different than most commercial websites. It aims to provide information to its audience in a systematic way so they are able to learn easily from the vast pool of knowledge that has been collected throughout the years. Continuous improvement is at the heart of the ideology proposed by The Venus Project and we always strive to design and create better content. We are only a handful of volunteers who are constantly improving the website and we would love to have you on board with us. Our Website is hosted at SiteGround and at the core it’s driven by the content management system WordPress. We are always looking for new people with skills and enthusiasm to take The Venus Project’s website to a new level. We value experience and professionalism but most of all we value the efforts of people that are dedicated to this cause. Don’t worry if none of this applies to you. You can still become a part of the team. If you don’t possess any of the mentioned skills but you would like to learn them, see the section below. It will provide you a learning path so that you would eventually be able to join our team and contribute. To get involved with the Web Development team, please follow the steps on this page. – Do all the exercises from the tutorials. Take the time to complete the steps and tasks they give you. Don’t just watch how they do it. Real learning happens when you do it yourself. – Do not copy and paste code. Instead, when a tutorial goes through some code, type it manually yourself. This will help you think about what is actually happening in the code. You will understand it much better if you write it instead of just looking at it. – The sooner you start doing projects by yourself from scratch, the better. So, as soon as you start feeling comfortable with the basics of some language, perhaps after completing a tutorial, try to do at least one project all alone, by yourself. Try to come up with a project that is more or less at your level. It’s one thing to follow a tutorial, but it’s a very different thing to have to come up with a plan for how to do the whole job, completely on your own. Doing this will also force you to read the documentation of some of the language’s syntax that you might need to use, so your knowledge will become much deeper this way. This is an introduction to the basics of HTML. This is a much more comprehensive tutorial of HTML. Don’t try to memorize everything here. Rather, try to understand the concepts behind the various HTML tags. Then, whenever you need to remind yourself of what exactly some tag does or what attributes there are for it, you will know where exactly to go and look up that information. Note: keep in mind that you need some basic knowledge of HTML before diving into CSS. This tutorial gives you all the basic theoretical knowledge you need in order to understand what CSS is about and what you can do with it. This is a video tutorial that goes through many basics. You can take a look at some practical, real-world coding in action. The CSS validator can discover bugs in your code, even in your entire website, so it can be invaluable. W3Schools’ tutorial seems like a good starting point. You will be building a lot more complex things that are closer to real-world applications. W3Schools’ tutorial again offers nice and simple explanations. Note: before starting to learn PHP, you will need to have an understanding of HTML. We also recommend CSS. This book might seem a little hard for a beginning. However, the examples inside, while requiring a lot of thought, will give you a much deeper understanding of how PHP works. Jeffrey Way moves fast in this series of very valuable tutorials. Make sure you follow what is happening. Now we dive deeply and start building a real website. Make sure you do the assignments! A next-level continuation of the above tutorial. It gets into Object-Oriented Programming (OOP). Pro PHP Security covers a wide variety of security essentials. Before you make any applications live on the Internet, read this book. It will introduce you to many security concerns that you really need to know about. A basic introduction to SQL. This book covers SQL in depth and in a very accessible way. Easy to read and has practical exercises. An overview of the WordPress database structure. How WordPress organizes its content into units called “post types”. Learn about the default post types that are predefined for you. Beyond the predefined post types in WordPress, there exists the possibility for defining your own custom post types. This offers unlimited opportunities for organizing content into whatever units you wish. Truly powerful.